My name is Emma and I live in Central Scotland. I am a disabled travel and lifestyle blogger and freelance writer. I have a progressive muscle wasting condition called Limb Girdle Muscular Dystrophy and use a power wheelchair full-time. Glasgow is one of the most popular cities in the UK. 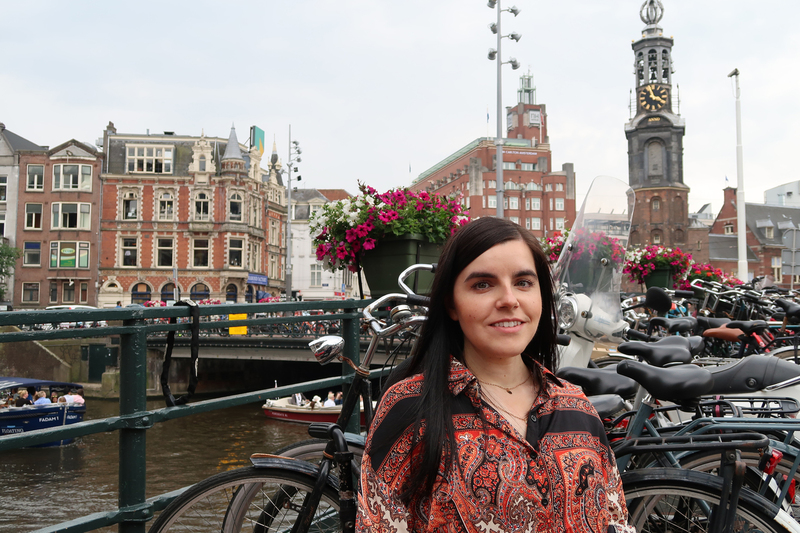 It’s a city known for being friendly, full of culture, personality and character. Not forgetting the stunning architecture, hidden gems, diverse music venues and great visitor attractions. Glasgow is the perfect choice for a day out or a long weekend city break. Here are 5 accessible places to visit in Glasgow for your next day trip or long weekend. Who doesn’t love a trip to IKEA? Once inside the giant blue and yellow warehouse, it’s like you’ve entered a whole new world that takes you on an adventure (just make sure you follow those glowing arrows). IKEA sells just about everything at affordable prices so you are sure to leave with what you went in for plus a few extras you’ve picked up along the way that you didn’t necessarily need, but had to have. Other than the amazing Scandinavian furniture and the delicious veggie balls, I love that IKEA Glasgow has great accessibility. There are plenty of disabled parking bays, level access, a large lift and the store itself is very spacious. Accessible toilets are located at several areas including the entrance, restaurant and exit. One of my favourite accessible music venues in Glasgow is the SSE Hydro. Built in 2013 this multi-purpose events arena has an incredible 13,000 capacity and has all the big names in music, sport and entertainment performing under its multi-coloured roof. The SSE Hydro is a great venue to attend as a disabled person due to its many accessibility features and facilities. I always enjoy going to events at this venue due to the ease of arriving until it’s time to leave. There is disabled parking nearby, wide open spaces inside the venue, helpful staff and spacious lifts which are never crowded. What sets The SSE Hydro apart from other venues in Glasgow is the Changing Places toilet which is located near the accessible seating area on level two. There are also a number of accessible toilets too. 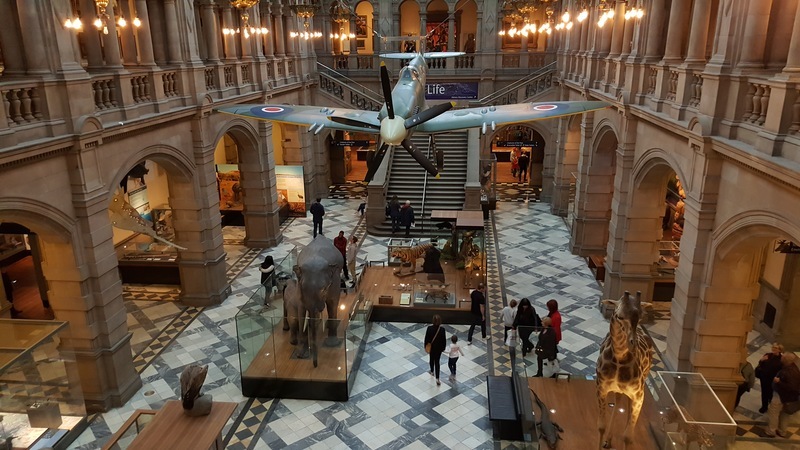 There is no doubt that Kelvingrove Art Gallery and Museum is one of Scotland’s most popular attractions. Kelvingrove is incredible and is stunning both on the inside and outside. It’s a must-see during a trip to Glasgow and one I have visited on many occasions. As well as being disabled-friendly it is also kid-friendly. My nephew loves seeing the animals and the huge Spitfire hanging from the ceiling. 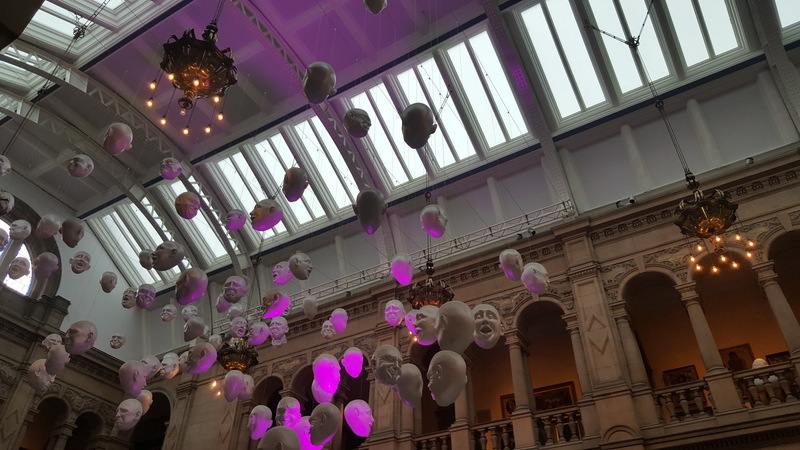 Another favourite is The Floating Heads installation by Sophie Cave, which features over 50 faces, each displaying different emotions. It’s such a striking and interesting display that you will most likely lose yourself for a while as you analysis each and every one. There are 8000 objects on display across 22 galleries, so there is plenty to see and a lift which will take you to each level. Accessible toilets can be found near the entrance and gift shop as well as beside the animal displays. Although this toilet is larger and has a changing bed inside, it isn’t classed as a Changing Places toilet. It’s a lovely spacious museum with free admission and Blue Badge parking. If it’s some retail therapy you are after then you can’t go wrong with Silverburn Shopping Centre. There are over 100 shops to browse as well as a wide range of restaurants and cafes. The Shopmobility service is available to make getting around the shopping centre easier with a range of wheelchairs available including manual and power wheelchairs. Once you have shopped and enjoyed a meal at one of the lovely restaurants, catch a movie at the cinema. The stylish Cineworld cinema offers Autism friendly, subtitled and audio described screenings. Guide dogs are allowed and there are wheelchair spaces in each screen. 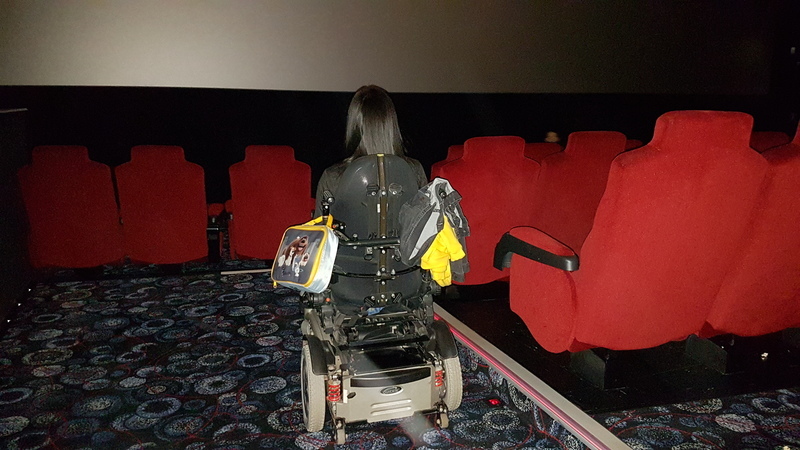 Some screens even have a wheelchair accessible viewing booth located at the back for a better viewing experience. There are accessible toilets in the cinema and shopping centre. 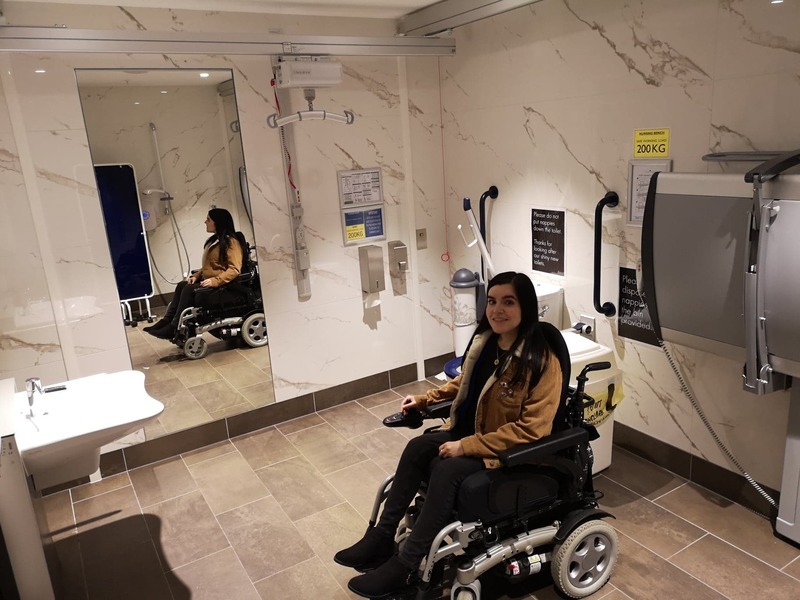 However, there is also a lovely Changing Places toilet available in the shopping centre complete with changing bench, hoist, shower, adjustable wash basin and peninsular toilet. The Emirates Arena is a purpose-built main venue for the 2014 Commonwealth Games. It is now home to a range of sporting events and one of the largest gyms in Glasgow. For a fun experience, I would recommend attending a Glasgow Rocks basketball game and soak up the atmosphere. 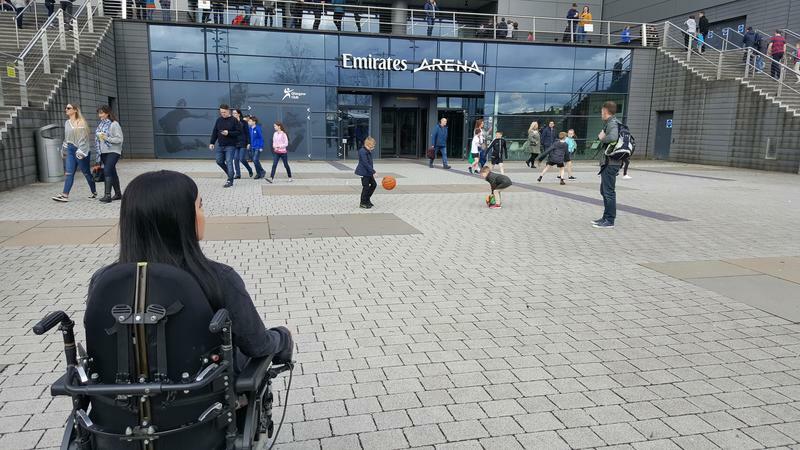 From start to finish the accessibility at the Emirates Arena is very good. Blue Badge parking bays are available with level access and an external lift to the main entrance. Several accessible toilets are located in various areas throughout the arena and cafe, and there is a hearing assistance system available. 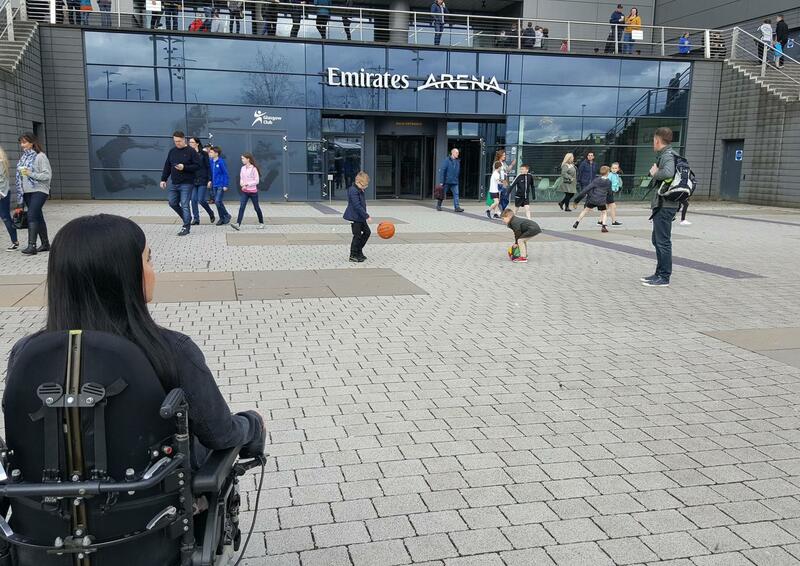 Accessible and companion seating is suitable for wheelchair users and provides a good view of the courts.